Brydon Swearengen & England P.C. is pleased to announce that shareholder Scott A. Hamblin has been selected into The National Trial Lawyers Top 100 Trial Lawyers for the year 2013. Mr. Hamblin was selected based upon his performance in the practice area of Criminal Defense law. Membership in The National Trial Lawyers is by invitation only and is extended to those individuals who exemplify superior qualifications, trial results, and leadership in their state or geographic area. 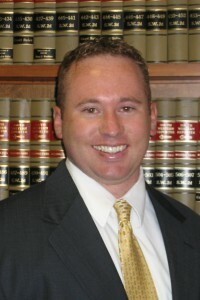 Scott practices in the areas of family law, criminal defense and personal injury. He provides experienced legal representation to clients from Jefferson City, Linn, Fulton, Columbia, Lake of the Ozarks and throughout Mid-Missouri.